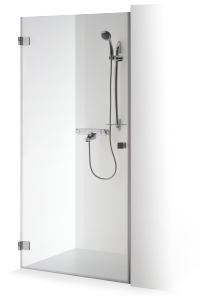 The shower wall without frames from especially safe tempered glass of 6 mm thickness. 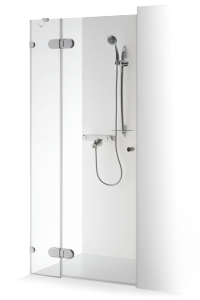 This shower wall is included perfectly into the bathroom’s interior of minimalist style. 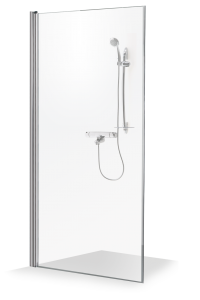 The frameless shower doors for niches, to which the rectangular hinges of modern technology are mounted. They have the lifting function. 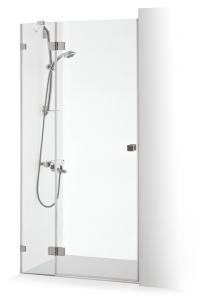 The frameless shower doors with rectangular hinges, which have the lifting function. The shower doors for narrow niches. They suit the interior of minimalist style the best. The doors may be opened inwards or outwards. 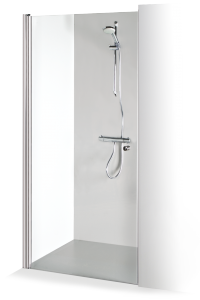 The frameless shower doors with auxiliary wall meant for niches of average width. 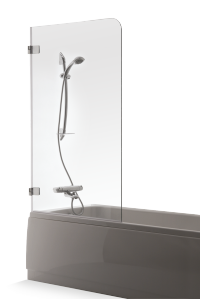 The frameless bath wall of minimalist style is made from safe tempered glass. Especially comfortable for cleaning. The shower wall with sliding doors, which suits wide niches. It uses the space especially economically. 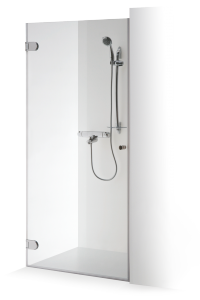 A very compact shower wall with two sliding doors that suit the bathroom of complex layout. It is adjusted for very wide niches. It protects the bathroom perfectly while having the shower. 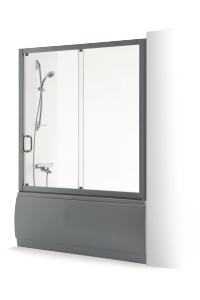 The safe tempered glass is framed by aluminum profile painted in white or anodized in grey. It suits for the bathes of standard forms. A bath wall with 2 sliding doors. It suits spacious bathrooms. 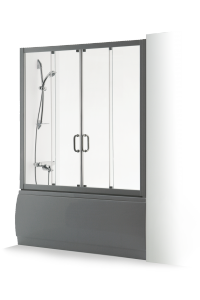 The frame is made from the aluminum profile painted in white or anodized in grey. 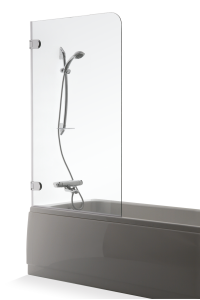 The frameless protective bath wall of minimalist style is made from safe tempered glass. Especially comfortable for cleaning. 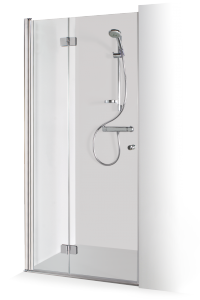 Frameless doors for narrower niches with the fittings of the highest quality. 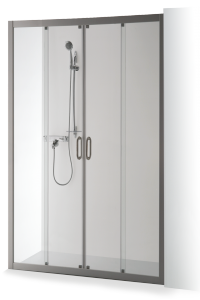 Frameless doors with additional wall for niches of average width. 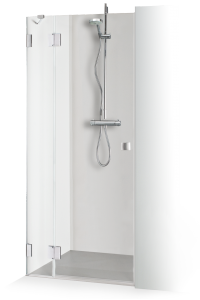 Perfect adjustment of wall’s fittings and excellent magnet technology in hinges allow closing the doors from any position. 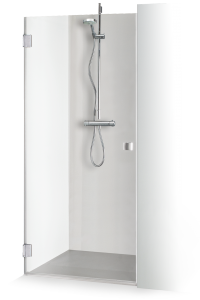 The shower’s door of the Scandinavian style with the lifting function. It suits the narrower niches. 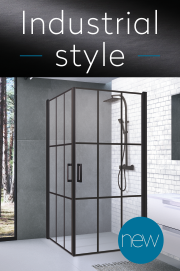 Shower wall of the minimalist style. 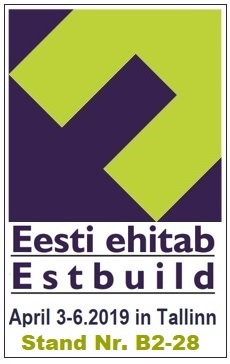 The wall may be folded to the room’s wall when it is not used. 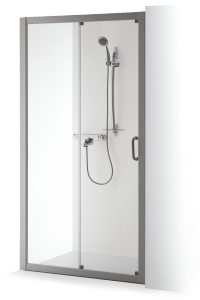 An excellent solution for narrow niches: the wall is folded to the wall and the maximally wide entrance to the shower’s room is formed. 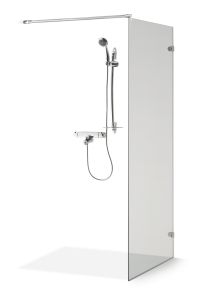 Besides, it suits perfectly for bathrooms, where there is not enough space for opening of the doors outside.